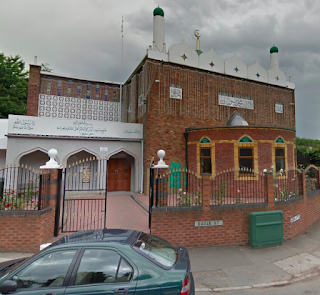 An imam at the Noorul Islam Jamia Mosque on Eagle Street, Mohammed Karamat, was caught on CCTV abusing 4 children within a week’s period, one as young as 9 years old. The footage showed Mohammed Karamat on separate accounts slapping children, twisting one’s arm, grappling them by the neck, and stabbing them with a pen. Mr. Karamat pleaded guilty and was sentenced a community order including 100 hours of unpaid work as well as a restraining order that bans him from contacting three of the victims or their family. The 45-year-old comes from Station Street East, Foleshill. The bench of magistrates did not feel it was “appropriate” for Mr. Karamat to pay compensation, but he has been ordered to pay £135 worth of court costs and a £85 victim surcharge. Prosecutor John Bartlett described the injuries: “The first video shows a twisting of the arm and there is a back-handed motion on one of the children, and there is also signs of a pen used to stab a nine-year-old a number of times. “It appears the child is in pain and pulls back to prevent being stabbed. “One clip shows him grabbing a child round the back of the neck, pushing the neck towards the table.